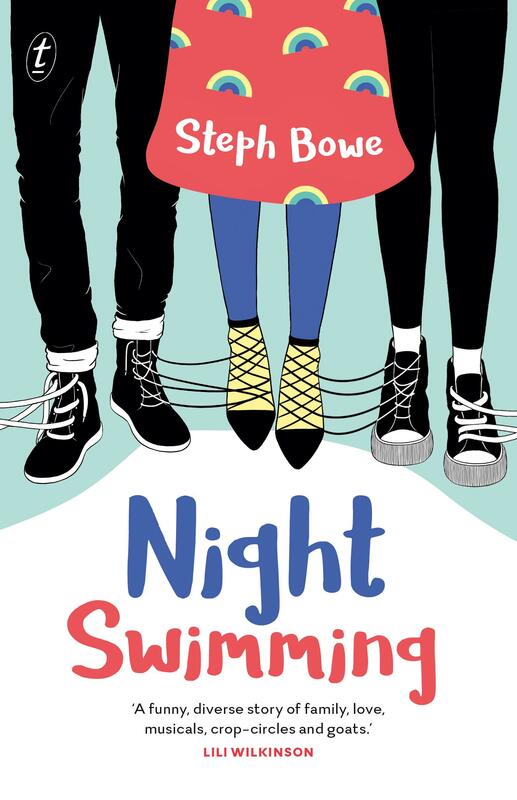 Night Swimming is a love story with a twist, and a whole lot of heart. Imagine being the only two seventeen-year-olds in a small town. That’s life for Kirby Arrow-named after the most dissenting judge in Australia’s history-and her best friend Clancy Lee, would-be musical star. Triangulated rom-com meets dysfunctional family drama in this coming-of-age novel set in a rural Aussie community. Kirby has grown up living in the tight-knit town of Alberton with her mother, grandpa and pet goat. At 17, Kirby is attached to the comfortable insularity of small-town existence but, with adulthood quickly approaching, now is the time to take stock of her future. While Kirby plans to one day run her mother’s goat-milk soap business and finish a carpentry apprenticeship, her mother impresses upon Kirby the importance of chasing bigger dreams, like moving to Sydney and studying at university. That Kirby has been named after Australia’s most notable dissenting High Court judge is testament to her mother’s long-held aspirations. But as potent as her mother’s expectations may be, a family history of abandonment makes Kirby resistant to leave, especially now that her beloved grandpa has been diagnosed with dementia. Further intensifying Kirby’s emotional maelstrom is a newspaper article providing a vital clue to the whereabouts of her estranged father. Hopes of reuniting with him resurface along with old wounds of parental rejection. Luckily, Kirby has Clancy, her mischief-making musical-theatre-loving BFF, around for comic distraction. Slapstick banter and madcap scheming flows free and fast between this pair. Yet even their friendship is put to the test when the town’s beautiful newcomer, Iris, arrives with her impressive wardrobe of novelty print dresses to capture their romantic imaginations. This bittersweet comedy of romantic misunderstanding, life management and family relations is poised at the emotional intersection between forgiveness and self-acceptance. Despite its whimsical tone, Night Swimming tackles serious themes of mental health, family upheaval and sexual coming-out with commendable delicacy and humanity. Suitable for ages 14 and up. Carrie Croft works as a bookseller at Readings Hawthorn.